What are the benefits of flaxseed? 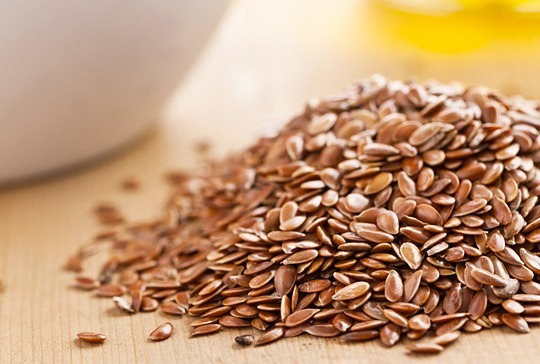 Simply put, flaxseed and flaxseed oil are both rich in Omega 3 fatty acids. Omega 3’s are found in fatty fish such as salmon, halibut and sardines. Eating these types of fish two to three times a week can be very beneficial to your overall well-being. Yay for well being! But what if you don’t like fish or you just can’t find a way to work it into your menu plan that often? Flaxseed to the rescue!! Flaxseeds contain not only omega 3’s but also lignans, which may have an antioxidant effect and may prevent certain cancers. Another interesting fact about flaxseed is its ability to reduce inflammation. This is beneficial not only in preventing high blood pressure but also in treating skin conditions like eczema. The fatty acids in flaxseed actually help to lock moisture into the skin. Personally, I use both. The advantages of flaxseed is that you’ll get added fiber. If you choose to purchase flaxseed, make sure you grind it up in either a blender or a coffee grinder. I add ground flaxseed to just about anything. It’s great on salads, cereal, or even hidden in baked goods like muffins. Flaxseed oil is wonderful in smoothies, yogurt or cottage cheese. Keep in mind that flaxseed oil must be kept refrigerated after you open it and is very perishable. (Shelf life is approximately 6-8 weeks once opened.) Recommended amount is 2 tablespoons of flaxseed per day.